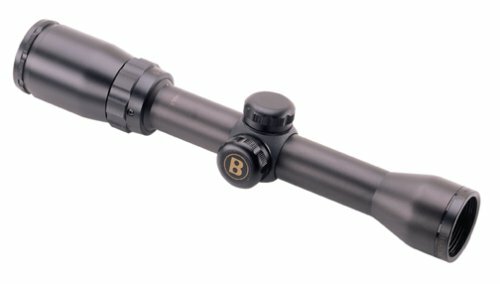 Banner Rifle Scope 6-24x 40mm Matte Black Mil-Dot Bright. Accurate. Dependable. Deadly. Both of terrain and darkness. Well assume your stand is in the right spot and suggest the BannerDusk & Dawnseries to capitalize on the latter. With their Dusk & Dawn Brightness (DDB) multi-coated lenses, these riflescopes cast clarity and brightness on that line between night and day. This line includes two models with ballistic reticles to give you a long-range accuracy advantage with a muzzleloader or centerfire rifle. Based on a 100-yard zero, the MZ 200 reticle provides dead-on holds to 200 yards with a muzzleloader. The CF 500 is optimized for centerfire rifles with aiming points out to 500 yards. Great for rifles, shotguns, or muzzleloaders. All around big-game scope. Dusk and dawn brightness (DDB) multi-coated lens. One piece tube. Dry-nitrogen filled. 1″ tube diameter. Fixed Parallax adjustment. Field of view: 40/13.6 ft. At 100 yards. Length: 12″. mounting length: 5/8″. illuminated CF50 reticle. Fast focus eyepiece. 1/4 MOA fingertip windage and elevation adjustment. Second Focal Plane. 100 waterproof, fogproof and shockproof. Weight: 13oz. Color: matte black.Can not ship international. Ask any trophy hunter. They’ll tell you more tags are filled in the low-light hours than any other time. 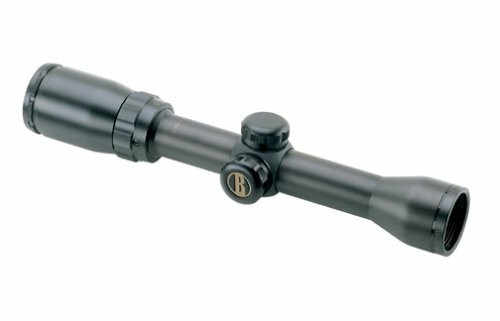 Enter the Bushnell Banner 3-9x 40 Circle-X rifle scope, a scope designed to excel in early-morning and late-evening light. Featuring Dusk & Dawn Brightness (DDB) multi-coated lenses for clarity and brightness in low light, you’ll add precious minutes to every hunting day with the Banner Dusk & Dawn series. With one-piece tube design, the Banner Dusk & Dawn line includes a full assortment of specialty scopes for big-game, varmint, .22 rim fire, slug, black powder and turkey hunting. Ask any trophy hunter. They’ll tell you more tags are filled in the low-light hours than any other time. Enter the Bushnell Banner 1.5-4.5x 32 Multi-X riflescope, a scope designed to excel in early-morning and late-evening light. Featuring Dusk & Dawn Brightness (DDB) multi-coated lenses for clarity and brightness in low light, you’ll add precious minutes to every hunting day with the Banner Dusk & Dawn series. With one-piece tube design, the Banner Dusk & Dawn line includes a full assortment of specialty scopes for big-game, varmint, .22 rimfire, slug, black powder and turkey hunting. Ask any trophy hunter. They’ll tell you more tags are filled in the low-light hours than any other time. Enter the Bushnell Banner 4-12x 40 Multi-X riflescope, a scope designed to excel in early-morning and late-evening light. Featuring Dusk & Dawn Brightness (DDB) multi-coated lenses for clarity and brightness in low light, you’ll add precious minutes to every hunting day with the Banner Dusk & Dawn series. With one-piece tube design, the Banner Dusk & Dawn line includes a full assortment of specialty scopes for big-game, varmint, .22 rimfire, slug, black powder and turkey hunting. Ask any trophy hunter. They’ll tell you more tags are filled in the low-light hours than any other time. Enter the Bushnell Banner 3-9x 40 Multi-X riflescope, a scope designed to excel in early-morning and late-evening light. Featuring Dusk & Dawn Brightness (DDB) multi-coated lenses for clarity and brightness in low light, you’ll add precious minutes to every hunting day with the Banner Dusk & Dawn series. With one-piece tube design, the Banner Dusk & Dawn line includes a full assortment of specialty scopes for big-game, varmint, .22 rimfire, slug, black powder and turkey hunting. Bright, accurate, dependable, and deadly. Both of terrain and darkness. We’ll assume your stand is in the right spot and suggest our Banner Dusk & Dawn series to capitalize on the latter. With their Dusk & Dawn Brightness (DDB) multi-coated lenses, these riflescopes cast clarity and brightness on that line between night and day. We’ve added two ballistic reticles to the lineup to give you a long-range accuracy advantage with a muzzleloader or centerfire rifle. 100 waterproof and fogproof. Shoot holes in any shadow of a doubt. The Bushnell® Banner® Series riflescopes are crafted with Dusk & Dawn® Brightness™ multi-coated lenses to cast clarity and brightness on that line between night and day. The dry-nitrogen filled construction is 100 waterproof, fogproof, and shockproof. 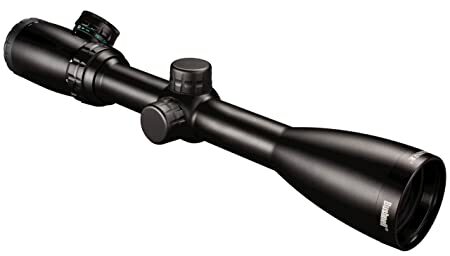 711545 Features: -Banner 1.5 – 4.5 x 32 mm riflescope.-Multi-coated optics.-One-piece tube.-Dry-nitrogen filled.-1/4 M.O.A. fingertip, resettable wind age and elevation adjustment.-Fast-focus eyepiece. Construction: -100pct waterproof / fog proof construction. Dimensions: -Length: 10.5”. 416x 40mm 71-4164I Powerful magnification range with crosshairs that light up red or green. Ideal for varmints and long-range big-game hunting. Reticle: Illuminated Finish: Matte Ask any trophy hunter and they’ll tell you more tags are filled in the low-light hours than any other time. That said, it’s wise to have a scope designed to excel in early-morning and late-evening light. Featuring Dusk & Dawn Brightness (DDB) multi-coated lenses for clarity and brightness in low light, you’ll add precious minutes to every hunting day with the Banner Dusk & Dawn series. With one-piece tube design, the Banner Dusk & Dawn line includes a full assortment of specialty scopes for big-game, varmint, .22 rimfire, slug, black powder and turkey hunting. 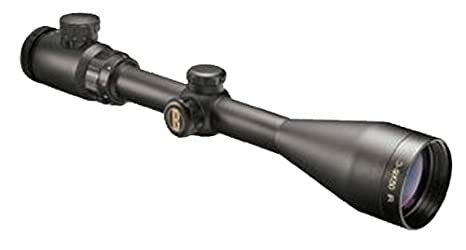 711432 Features: -Banner 1-4 x 32 mm riflescope.-Multi-coated optics.-One-piece tube.-Dry-nitrogen filled.-1/4 M.O.A. fingertip, resettable wind age and elevation adjustment.-Fast-focus eyepiece. Construction: -100pct waterproof / fog proof construction. Dimensions: -Length: 10.5”.